Hilokalon live at Chainsaw Massacre in Los Angeles June 29th! Gwap Mizzle in LA for the 2nd time ever! Bringing Gwap Lvrd D with him this time! 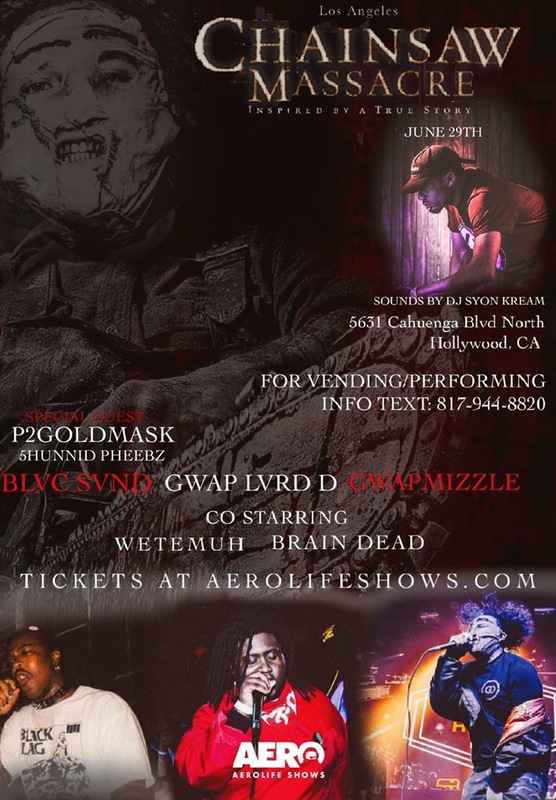 Also starring Blvc Svnd, P2 The Gold Mask & more! June 29 @ The Spot LA! For vending or performance info text 8179448820!